Discussion in 'SWNN News Feed' started by SWNN Probe, Apr 13, 2019 at 9:38 PM. 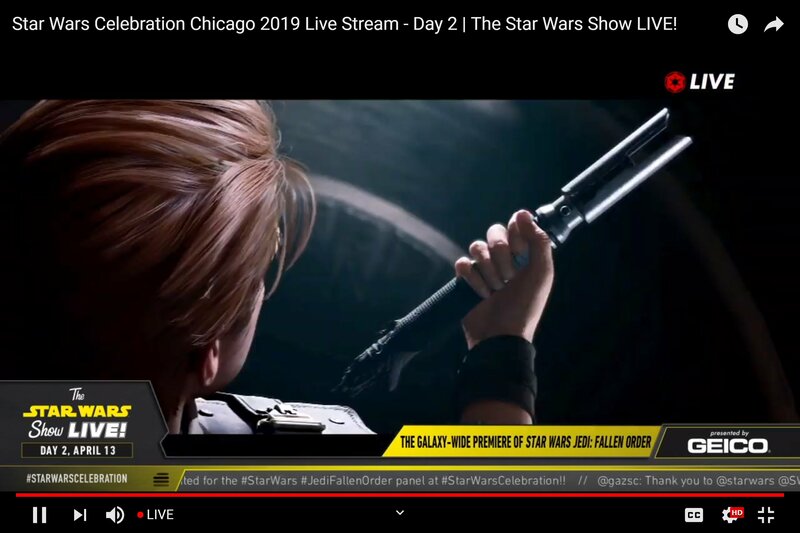 Star Wars gaming fans, we finally got a good look at Star Wars Jedi: Fallen Order! 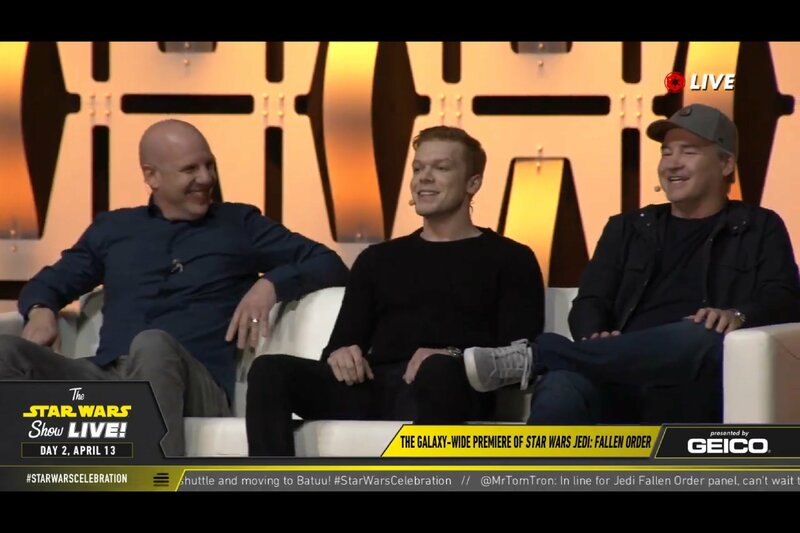 Respawn Entertainment hosted a panel at Star Wars Celebration to not only reveal the trailer, but what went into making the game. 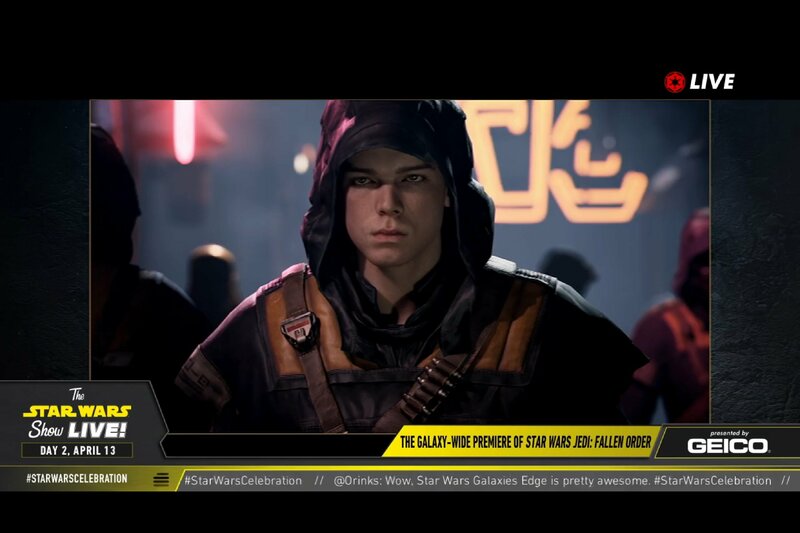 Respawn CEO Vince Zampella, game director Stig Asmussen, narrative lead Aaron Contreras, producer Kasumi Shishido, and director of content Steve Blank were all in attendance to help introduce Fallen Order to the world. Described by Stig Asmussen as an “action melee game”, the goal was to make a kickass, badass Jedi game depicting what it takes to survive as a Padawan after the events of Revenge of the Sith. 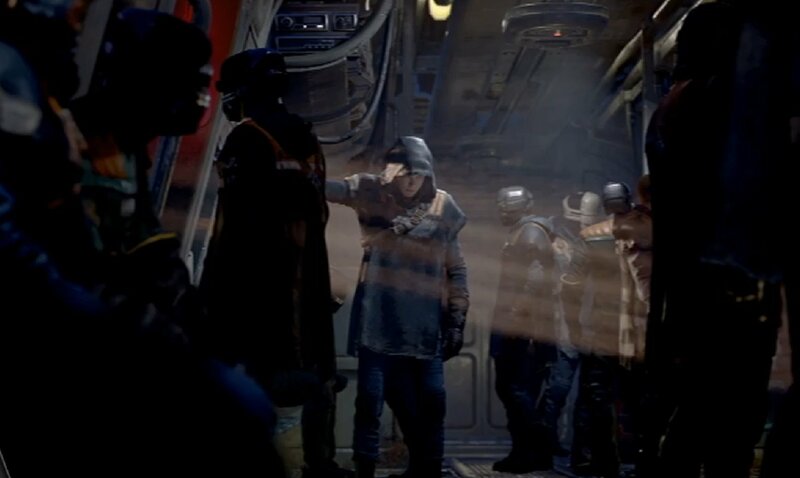 In addition to that intriguing description of gameplay, Fallen Order will introduce a lot of new planets and new characters. Producer Kasumi Shishido emphasized they are conscious of balancing old with new. The story involves Kal (played by Cameron Monaghan of Shameless), a Padawan survivor hiding in plain sight, refitting Clone War-era ships on the planet Baraka until he becomes an Imperial target. Kal is intended to embody a young Clint Eastwood and the Respawn team spent a year developing his character. He’s struggling to adapt his Jedi morals in a galaxy where evil has triumphed. Debra Wilson will portray a yet-to-be named Jedi who serves as Kal’s mentor. She’s a former Jedi but the Respawn team cautioned it won’t be a traditional Master/Padawan relationship we’ve seen before. Wilson is known for her role on Mad TV. Kal also has droid sidekick and best friend called BD-1 and is voiced by legendary sound designer Ben Burtt. It wouldn’t be a great Star Wars game without some worthy adversaries. 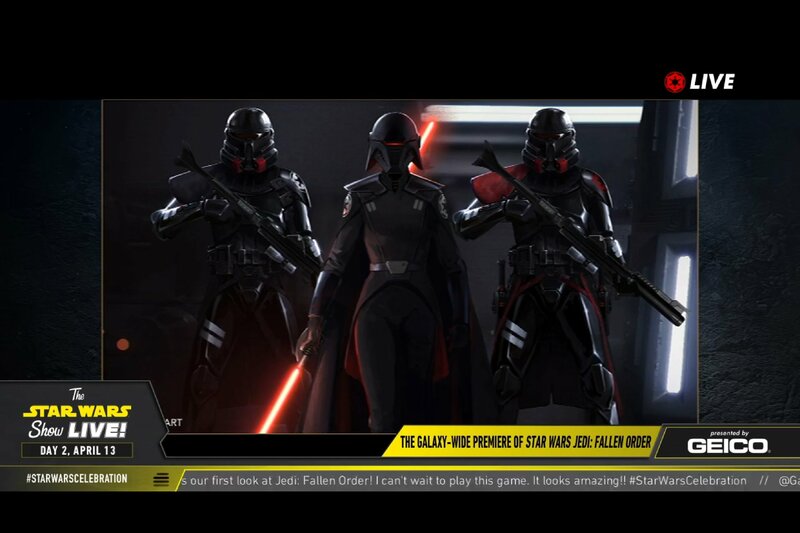 Enter the exceptionally clever Second Sister Inquisitor and a new class of Imperial trooper – purge trooper. Purge troopers aid the Inquisitors in their hunt for Jedi and are specially trained to fight them. 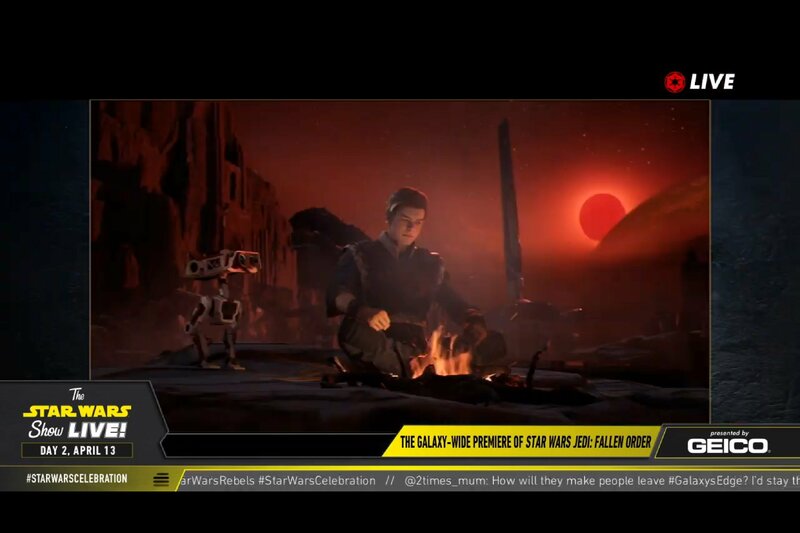 Not much else was revealed about the story, but it should be noted the Respawn team was hesitant to elaborate on Kal’s lightsaber and mentioned it plays a significant and intimate role in the story. 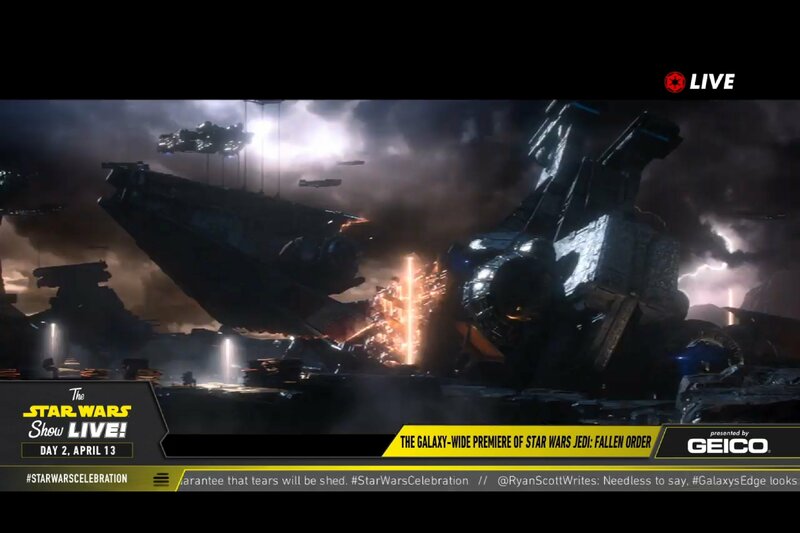 The trailer shown was story based, rendered in engine, and didn’t feature any gameplay, but the story promises to put a lightsaber in the hands of players. The team collectively have worked on Call of Duty, Titan Fall, Metal Gear Solid V, Bioshock Infinite, God of War, and Far Cry 3. Fans should rest assured we are in good hands with this team. 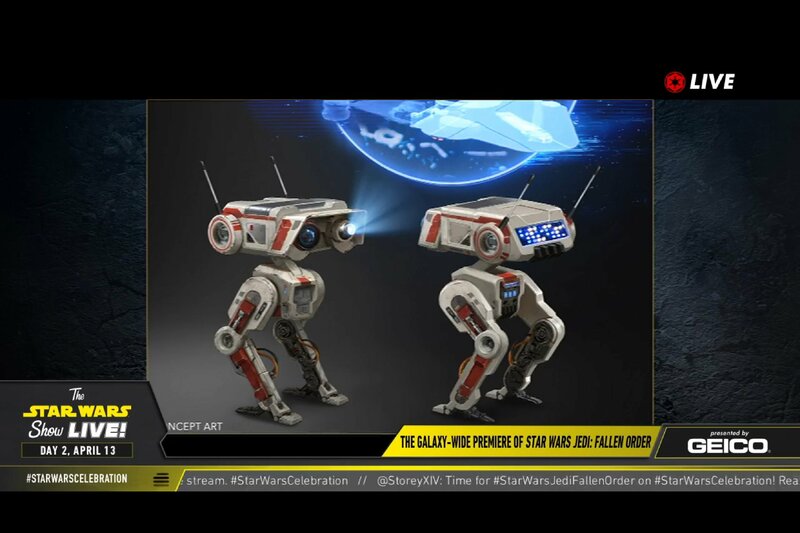 Also, some great news, no micro-transactions! The Respawn team also assured fans what they saw today is only a fraction of the game and they can’t wait to share more! 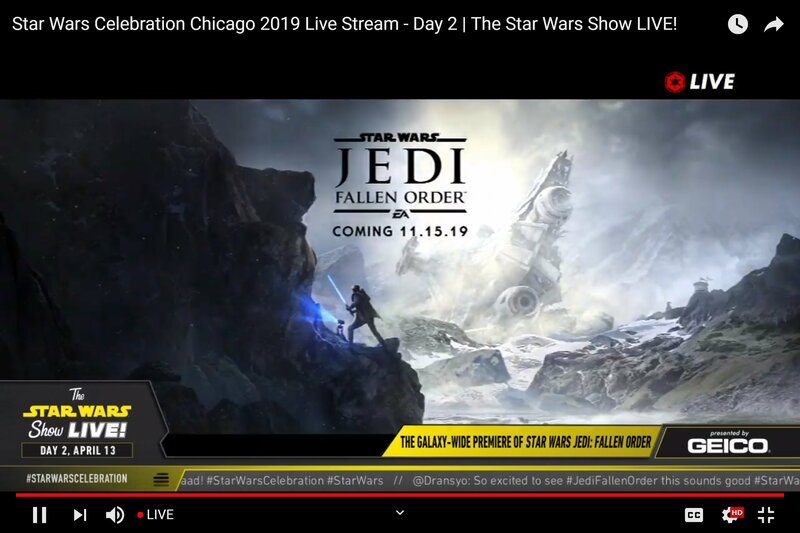 Star Wars Jedi: Fallen Order will be released November 15th on Xbox One, Playstation 4, and PC. Also - if they were gonna do a TV show about a bounty hunter... HELLO DISNEY - BOBA FETT??? Disney's Star Wars mission statement seems to be "let's completely miss opportunities..."
Really hoping TROS delivers... I was this excited for TLJ... but then I saw it. Last chance guys... don't mess it up. Well, those certainly are a lot of opinions. I wouldn't be surprise if The Mandolrian will have Boba Fett. They were very secretive and vague while talking about the show and really didn't learn anything new about it. Why should they announce a character that may end up being a plot point in the show? Boba Fett showing up would be a good payout of the show. You have probably the 2 biggest SW fans working on this show. People are so impatient theses days. I'm pretty stoked. Not a huge fan of them using such a well known face for the Main Character, but this should be a legit game. Regardless, will be purchasing so we can get this style of game moving for the future.